A collection of recent reports suggest there is growing evidence proving parks are valued community assets. A body of evidence is growing that quantifies the public benefits of parks, and at the same time, explicitly details the loss of community benefits if severe budget cuts continue. The budget cuts are not just cuts to parks funding; they are cuts to public health and endanger government attempts to address obesity rates. Parks featured in a collection of reports released in the winding down of the 2010-2015 Parliament. A step forward was made in the Select Committee for Communities and Local Government’s end of term report suggesting, as a result of TPA’s written submission, that there may be merit in the Committee considering an inquiry in to the state of the UK’s Parks during the next Parliament. For The Parks Alliance Interim Board, this was a welcome sign that the fight for park funding and maintenance is creeping onto the Parliamentary agenda. 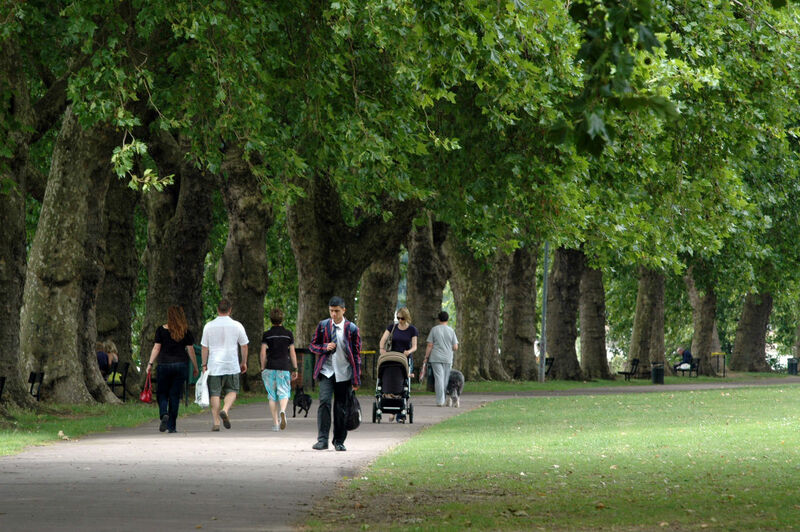 Well managed and maintained parks are central to achieving improvements in public health. It now seems that everyone is concerned about parks and their impacts on the quality of public life. The Fabian Society’s Places to Be, recently released, provides further evidence about the importance of green spaces in the community lives of an increasingly urban lifestyle. However, a dire future for park maintenance and funding is predicted in Fabian Society’s report if immediate action is not taken to redress the current downward trend of budget cuts to park maintenance and provision. The report predicts that central government funding for local authorities has fallen by around 40%, and estimates spending on parks to be reduced by 60 per cent by 2020. The Fabian Society report calls for the next government to find ways of keeping our parks and green spaces well maintained and open to all during a period of extended austerity. Adding weight to the Fabian Society’s report is the Heritage Lottery Fund’s 20 Years in 12 Places, which gathers strong facts on the roles parks play in people’s lives. The report shows parks have the greatest impact on residents’ quality of life, and the highest levels of awareness and engagement when compared to other major attractions. Further supporting evidence is contained in the Heritage Lottery Fund’s State of UK Parks, released last year. The report estimated that 45% of local authorities are considering either selling parks and green spaces or transferring their management to others. We are reminded of this figure after the London Borough of Bexley recently gathered submissions on disposing of 25% of its parks and open spaces. The savings proposal, one of 39 consulted on, asked for comments on disposing of 10 parks (27 sites in total). These two bodies of evidence, both extolling the need for public parks and painting an uncertain future if austerity measures continue to undervalue and damage the fabric of our public parks network. The call for action to protect and maintain the benefits that parks and green spaces contribute to the communities that they are nested in has never been either better documented or evidenced. Government action to protect this immense investment in public health and community well-being requires sustained action; and it has to begin immediately! – This blog was authored by Dr Sid Sullivan, Vice Chair of The Parks Alliance. It was originally published on the Landscape Institute’s blog.